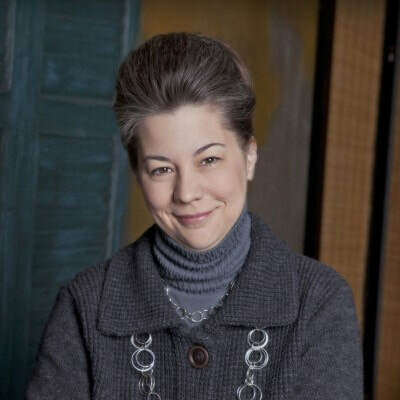 Kimberly Vrudny is an associate professor of systematic theology at the University of St. Thomas in St. Paul, Minnesota. She is the senior editor of ARTS: The Arts in Religious and Theological Studies, the academic journal of SARTS. Vrudny's current work involves researching works of protest, resistance, and prophetic art created in response to social issues plaguing the contemporary world. By interpreting these works with theological lenses informed by a Christian understanding of the concept of “beauty,” she is contributing to the emerging field of “political theological aesthetics.” In her book, Beauty's Vineyard: A Theological Aesthetic of Anguish and Anticipation (Collegeville: The Liturgical Press, 2016]), she offers an extended commentary on two of Jesus' parables set in a vineyard: the parable of the tenants and the parable of the workers in the vineyard. The chapters develop a systematic theology grounded in a theology of beauty, with a work of social realism opening each chapter and raising the religious questions reflected upon throughout the rest of the chapter. ​Vrudny was on sabbatical in South Africa, Thailand, and Mexico during academic year 2009-2010, documenting in photograph thirty years into the pandemic thirty people impacted by HIV/AIDS as well as organizations devoted to their care (see http://30years30lives.org).